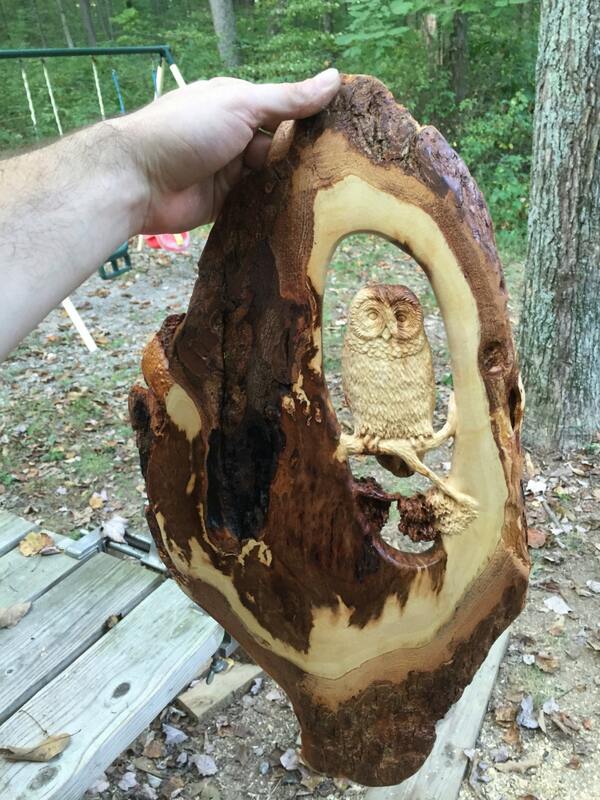 This wood sculpture is a piece of art, hand carved by me, Josh Carte, here in Ohio. 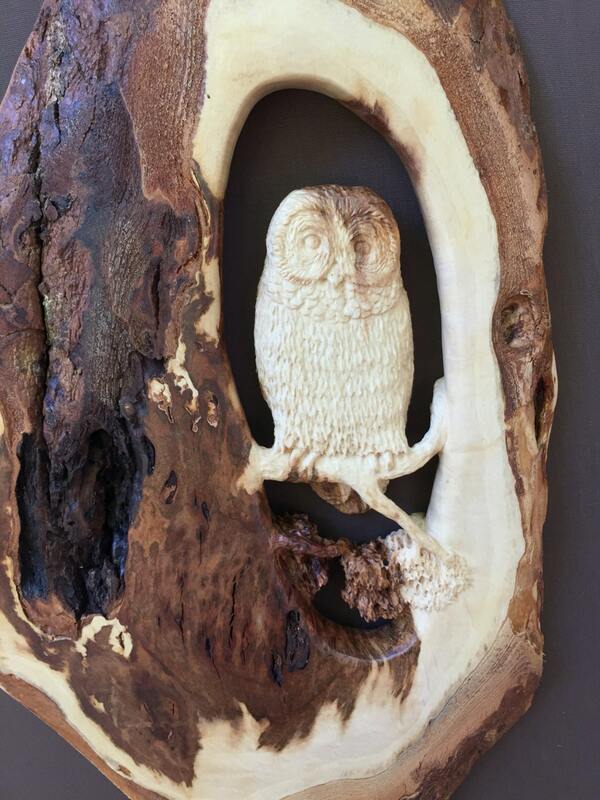 This wood carving is a perfect 5th Anniversary Wood Gift for her that hangs on the wall. 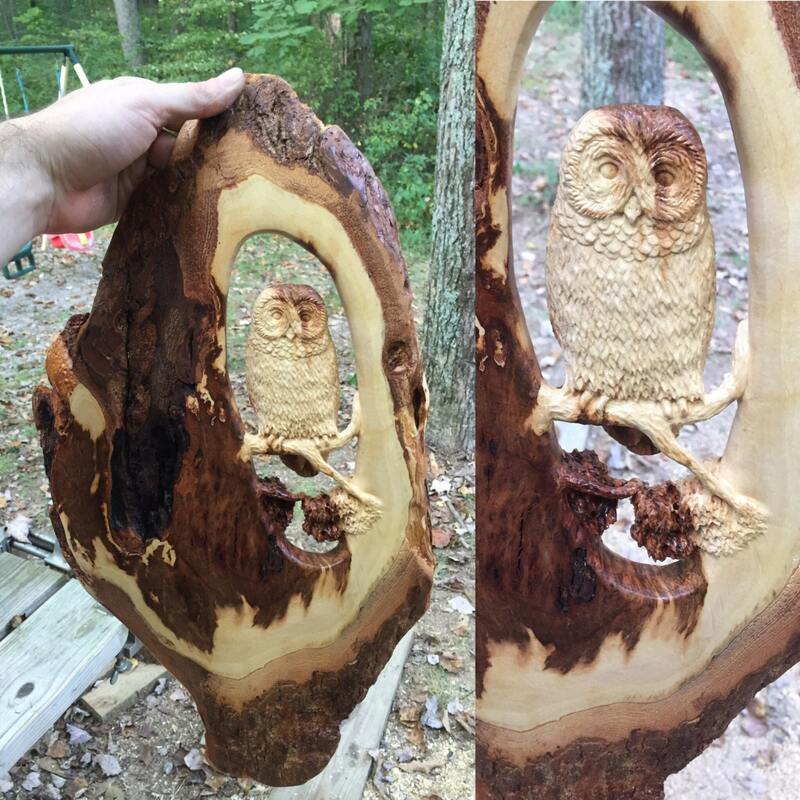 It is a unique and one of a kind sculpture carved in Maple that fits perfectly into the log home decor theme. 19" tall, 10 3/4" wide, 7/8" thick. 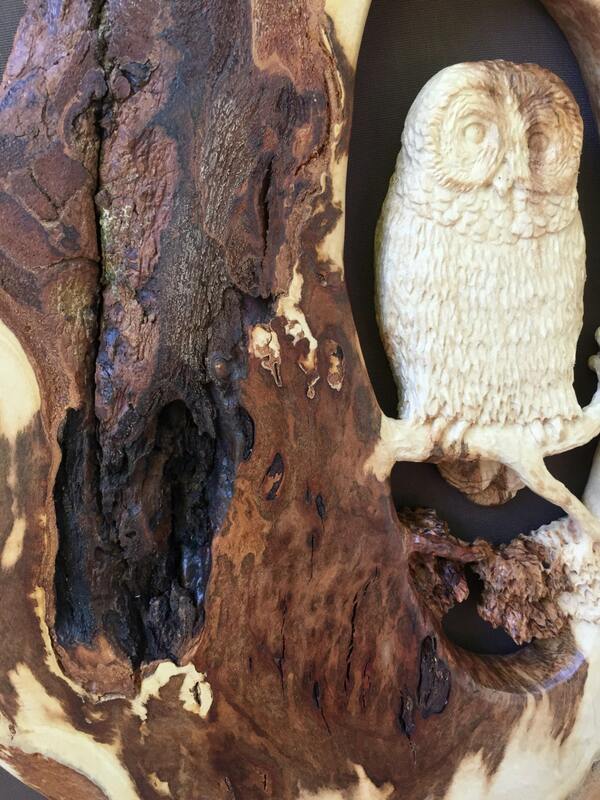 This is a very large and wonderful piece of burl wood! Check out my blog at JoshCarteArt.com to see the progression of how this piece was created! 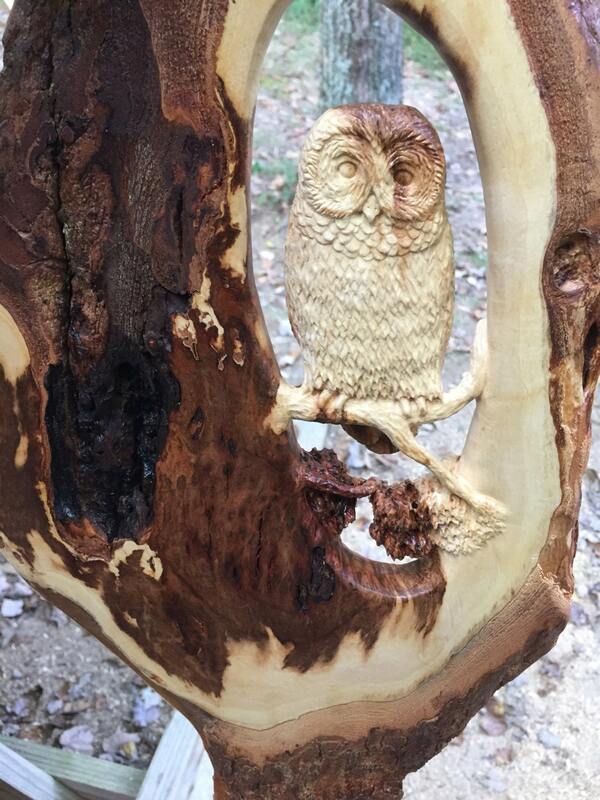 There are some live edges and bark inclusions to this carving. I really love this type of wood. These burls grow on Sugar Maples and are just amazing to me. Many sprouts are sent to one area where a burl is formed and the resulting wood is very hard with interlocking grain. The dark, lace of this piece is very unique.